A “transformative,”* inspiring book with the power to change the way we understand and communicate with our dogs. To Jennifer Arnold, dogs are neither wolves in need of a pack leader nor babies in need of coddling; rather, they are extremely trusting beings attuned to their owners’ needs, and they aim to please. 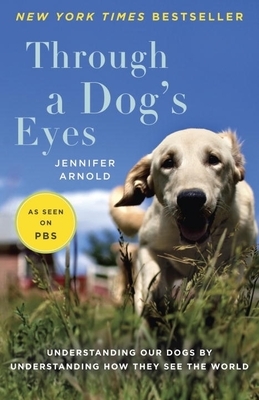 Stories from Arnold’s life and the lives of the dogs who were her greatest teachers provide convincing and compelling testimony to her choice teaching method and make Through a Dog’s Eyes an unforgettable book that will forever change your relationship with your dog. Jennifer Arnold is the founder and executive director of Canine Assistants, a service-dog school based in Milton, Georgia. She lives with her husband, veterinarian Kent Bruner, son Chase, three dogs, Bob the cat, eight horses, and a number of other animals.